SriLankan Airlines Good Choice For Trips Around Asia – Beijing To Bangkok Review. Most of the people wouldn’t give a second thought for flying on SriLankan Airlines (UL) based in Colombo, Sri Lanka. I had visited Colombo few times, and flown in/out on Singapore Airlines. The airline has pretty good coverage within the Gulf region, India, and four Chinese cities via Bangkok. The fares, both in economy and business, are competitive. The only drawback is the fact that UL doesn’t belong to any alliance. They used to be very close partner of Emirates, but the partnership soured rather suddenly two years ago. You can credit the UL flights, in addition to their own program, to Etihad or Malaysian. Overall UL’s FlySmiles doesn’t look worth accruing unless you are flying heavily on their metal. 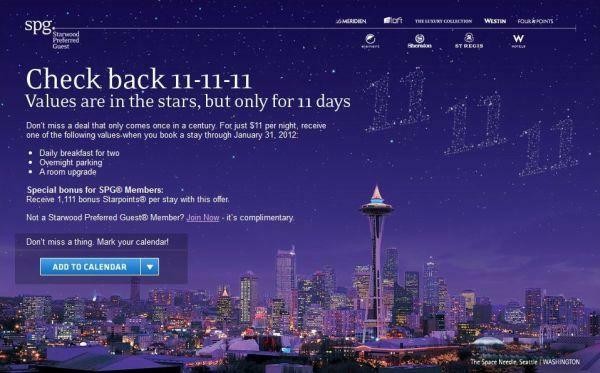 Changes Coming To Expedia Rewards Program. Until the end of last year Expedia was using Citibank’s Thank You-program to reward bookings made on Expedia. Citibank was, in turn, using Expedia to book flight awards issued using Thank You-points. Once the partnership ended Expedia launched their homegrown Expedia Rewards-program March this year. I have used Expedia extensively to book my airtravel, when I haven’t had an airline specific voucher or discount coupon, that is only redeemable on airline’s own website, on hand. The only downside for not booking on airline’s own website is that possibly all the changes before the travel has begun must be done through the original booking channel. Sometimes booking outside of airline site can have benefits as well. For example, some airlines require you to show the credit card that was used to pay for the ticket at check in if the purchase was done on their own website. No such a requirement if travel agent like Expedia is used to issue the ticket. Understanding Hilton Upgrade Options As A Diamond Member. Due to the ongoing promotion of a free night certificate for every four stays, I have found myself staying at Hilton properties more regularly than usually. Hilton has had the Nor1 upgrade options for cash already for few years. These Nor1 upgrades are space available and confirmed at the time of checking in. Now, they are also promoting points based and guaranteed upgrades at the time of reservation, and when you are accessing your reservation online. I now have five examples when it comes to these space available and guaranteed upgrades using points, and what I have actually received at hotels without applying them at all based on my Hilton HHonors Diamond status. Fuel Surcharges And Aeroplan – Air Canada’s Frequent Flyer Program. Over the past couple of days there has been chatter on frequent flyer message boards like FlyerTalk.com that Aeroplan had started unannounced to charge fuel surcharges on number of Star Alliance carriers. Aeroplan or actually Aimia, as the parent is now called, is a separate publicly listed company in Canada. Aeroplan had already for years collected so called fuel surcharges (YQ) on Air Canada metal flights. The issue with fuel surcharges and “free” award tickets is a toxic one. Airlines love fuel surcharges as it makes them easier to change the fares, corporate discounts do not apply to these charges, they don’t have to pay travel agent commission on these charges, and most importantly they try to charge them on award tickets as well. InterContinental Hotels Group Bright Lights – Bright Cities Promotion 7500 Priority Club Points For Two Nights Stay. I really have to confess that I am always bit skeptical when hotels are running bonus points promotions and all the rates are not eligible. In this case you have to book a special 7500 Priority Club bonus points rate. Comparing rates have been complicate as well when choosing this promotion. You can only check the Best Available Rate without opening another browser. For demonstration purposes I chose one hotel in each of the five promoted cities and chose a two night stay from 18th to 20th this month. I wrote down the special 7500 Priority Club bonus points rate, the best available rate, advance purchase rate if available, and the AAA rate. In all cases the bonus points rate was the highest. My conclusion? I rather take the savings and book either the advance purchase rate or AAA rate if available. These bonus points are rather expensive and not worth it. Club Carlson 50000 Bonus Points For One Night Stay In North America + Instant Silver Status + 2000 Bonus Points For Enrollment – Big Night Giveaway. 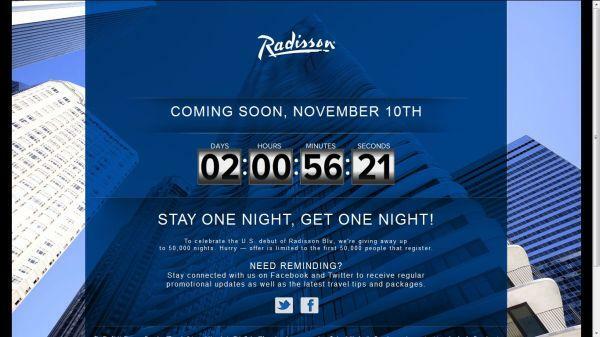 Radisson recently announced Bight Night Giveaway-promotion to celebrate the opening of their first North American Radisson Blu property in Chicago. Radisson would give 50000 Club Carlson points for the first 50000 members that register for this promotion on November 10 right after midnight EST. InterContinental Hotels Group Offering $100 Flight Credit For Two Nights Weekend Stay. InterContinental Hotels Group appears always have innovative marketing campaigns. 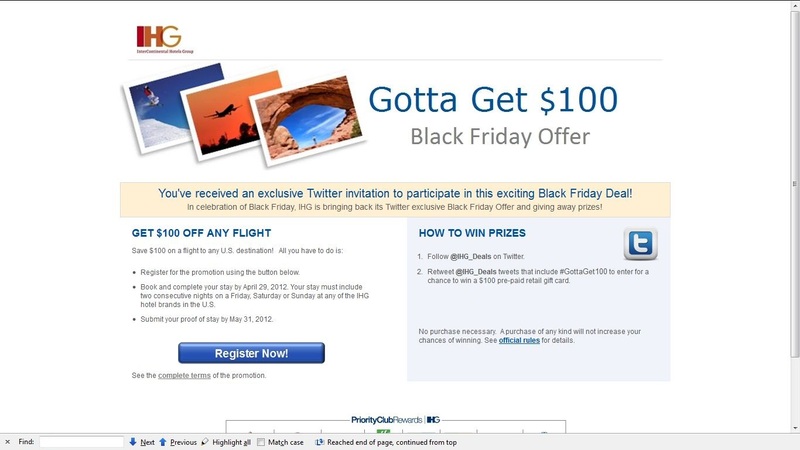 They just announced on Twitter their latest Black Friday themed promotion, where one can earn $100 flight credit for two nights weekend stay. Of course it isn’t that easy. There are few hoops for one to go through to actually collect the credit. This promotion is only available for residents of the 50 United States and the District of Columbia. 2. You will receive a confirmation email that includes a link. You are not registered for this promotion before clicking the link on the email. 3. You need to book and stay a two night weekend (Friday to Sunday or Saturday to Monday) stay using a rate that qualifies for Priority Club points between November 1st and April 28th, 2012. Only stays in the fifty United States and the District of Columbia qualify. The End Of BMI (British Midland International) and Its Diamond Club Is Finally Near? It hasn’t been unclear for a while that Lufthansa has been seeking a solution for its ownership of BMI. Over the years Lufthansa has acquired quite a few European airlines like SN Brussels (airline that came alive after Sabena went bust), Swiss International Air Lines (incarnation of Swissair that also went bust), Austrian Airlines, and quite a few other regional or charter airlines. Lufthansa also owns 19% stake of JetBlue. According to the article on the Sunday Times since getting involved with the BMI in the 1999 the whole exercise has cost Lufthansa about one billion dollars. Last week Lufthansa and IAG announced that they had reached a tentative agreement for BMI. IAG would buy the airline. 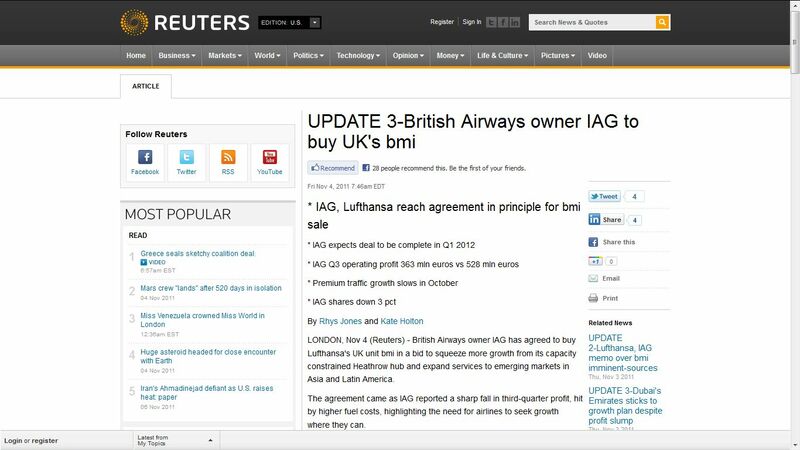 IAG is the holding company that currently owns both British Airways and Iberia. Virgin Atlantic also announced that they were in discussion with Lufthansa regarding buying the BMI. Extra Hyatt GoldPassport Points If Diamond Amenity Points (1W) Doesn’t Post Automatically. Over the years the posting of Diamond Amenity and other bonus points have been erratic to say the least. Normally, I just wait until I have 5 to 10 stays to correct and then do them all over a phone call. Apparently Hyatt is now offering a 50% bonus if one needs to call and have the amenity points posting corrected. This is retroactive for stays from mid-October. Sometimes it makes sense to choose airline miles instead of Hyatt points for stays. This especially when they have airline related bonuses going on and the stay is a one nighter. 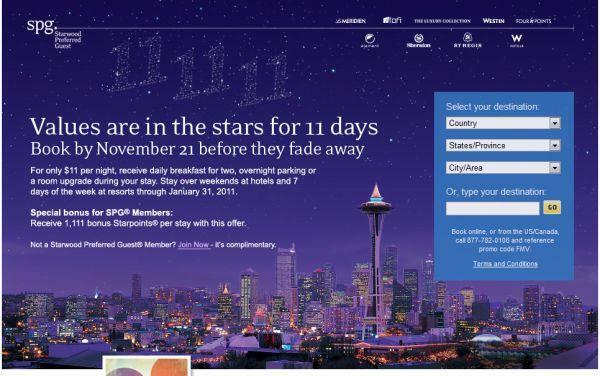 Diamond amenity never posts automatically when the airline miles are chosen. These needs to be posted manually by Hyatt GoldPassport customer “service”. Occasionally you might get a representative who is not aware of the fact that stays that are posted as miles are also eligible for Diamond amenity points. If that happens, the best way to correct the situation is to ask to speak with a supervisor. United Airlines Offering Double Elite Qualifying And redeemable Miles Between Los Angeles, Santa Ana, San Francisco-Chicago On Fare Classes W Or Higher – MPDB71. Last week I wrote about the latest offer from American Airlines for Double Elite and Redeemable miles for flights between selected cities. As United Airlines has their hub at Chicago’s O’Hare airport, it was likely from the beginning that they would match the AA’s promotion to stay competitive. 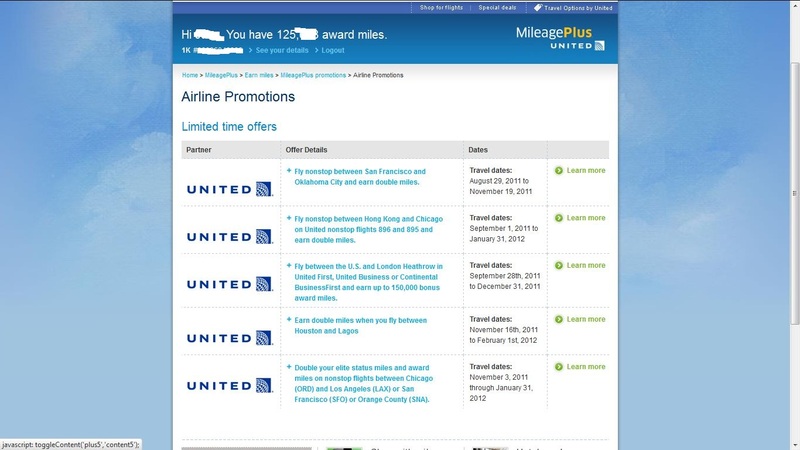 The other day when I was checking flight promotions on United.com it showed a new promotion offering double elite qualifying miles (DEQM) and double redeemable miles (DRDM) for flights between Chicaco’s O’Hare and San Francisco, Los Angeles, or Santa Ana. Unlike AA’s offer that didn’t have any fare class restrictions, United’s offer is valid only on fares booked to W or higher. 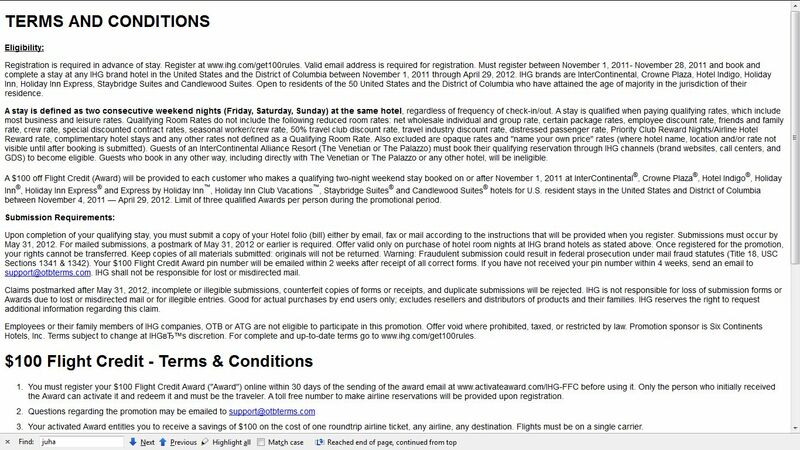 Also, the United’s offer is valid only for travel until January 31st, 2012 when AA’s offer is valid until March 31st, 2012. How To Get Around Blocked Websites Or Geographical Filters When Using Internet While Traveling? For the past week I have been traveling around China. Accessing the popular websites like Facebook, Twitter, and YouTube is not possible, without using extra services, as all of these are blocked by the Chinese authorities. The Chinese blocking is also known as the Great (fire)Wall of China. Last month I was in Dubai and Abu Dhabi where authorities also blocked some content that they deemed inappropriate, although the blocking was not as wide as it is in China. Also, there are services like Hulu, Amazon Prime instant videos, or Netflix that use geographical blocking of their service. These three can only be accessed from the United States. BBC in the UK also has interesting programming that is only available for users in the United Kingdom. Dynamic Currency Conversion (DCC) And Why You Should Always Decline. Sometimes when you are withdrawing money from a foreign ATM, you are presented an option for the bank operating the ATM to do the currency conversion for you instead of Visa/MasterCard. Also, when paying for hotels or other expenses in a foreign country, you are often given similar option to pay in the currency of you home country. You should ALWAYS decline these offers and here’s the reason why. The rates that are offered are NEVER markets rates. The bank operating the ATM or the bank who is handling the credit card machine is offering you a rate that is anywhere from 3% to 7% off from the actual market rate. This conversion is done for your “convenience”, when in fact it does nothing else than increase their fee income. It is better to let the network to do the conversion using the actual market rates.